The unlimited purchase option disappeared. I have finally found time to create a playlist of my favorites. This has been an awesome and time saving feature. 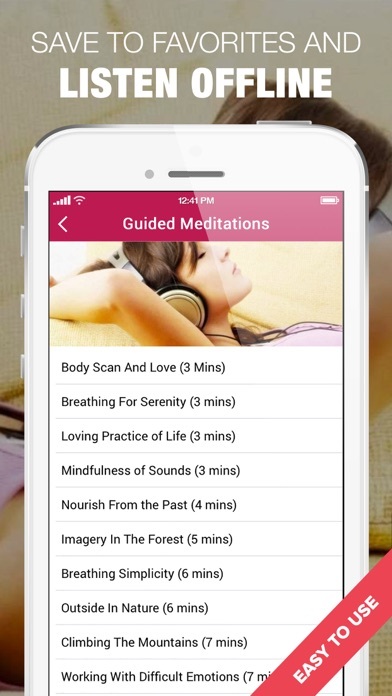 This meditation app is perfect fir short or longer meditations. It akes me right to where i need to be. Meditation doesn’t work overnight, be consistent, practice daily. BE PATIENT! First time foray into meditation at 61 years old! This app is exactly what I was looking for. Enjoy it. Tried many; this is the best! Love the variety of content! Can choose subject, time length, etc. 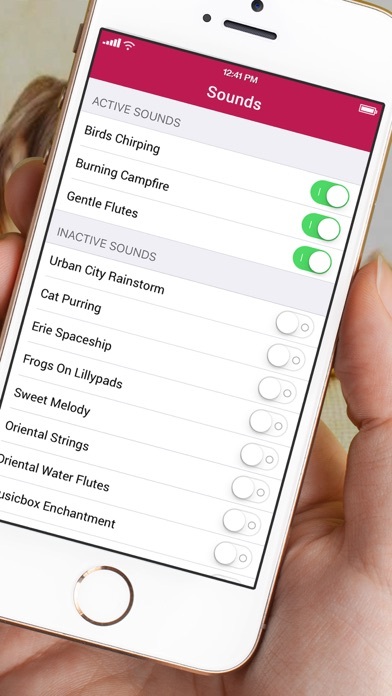 Great choice of meditation sounds too. 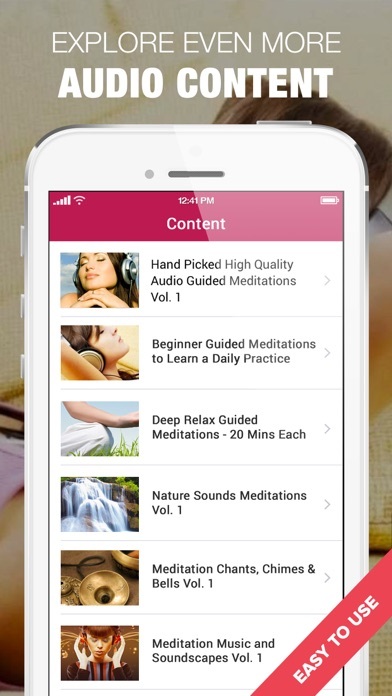 There are lots of good meditations here. Hope they put more soon. 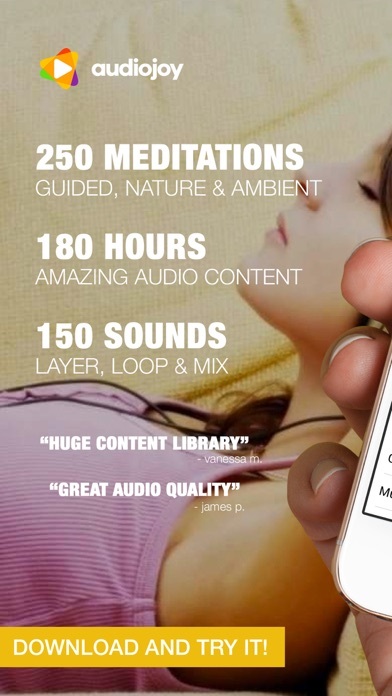 I enjoy listening to this app in my spare time. It keeps me relaxed and calm after a long stressful day. The mediation audio is very smoothing to listen too. Great app overall! 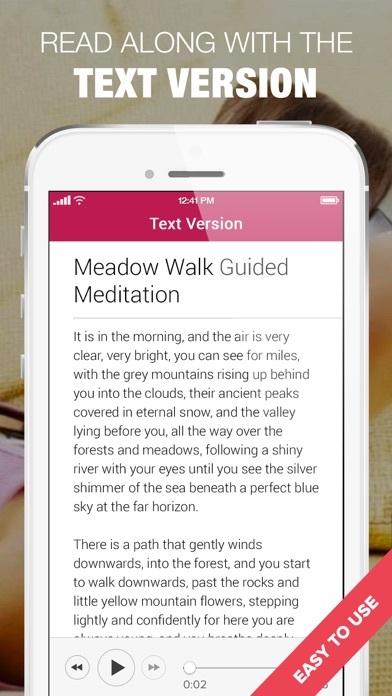 There are great meditations here. They say more are coming soon. More by Pitashi! Mobile Imagination.